By now, you understand how affiliate marketing works and this article is going to teach you how to start your own simple affiliate marketing website as well as show you the most effective types of websites for making money. A personal blog or company website if you’re a registered business. This because before you engage in promoting affiliate products and programs, you must be approved by the said affiliate network. Therefore, having a personal blog or business website exhibits credibility and that you are serious. The other will obviously be your affiliate marketing website that you’ll use to sell your affiliate products once approved by affiliate networks and determined a niche. Even if you’re green on running a website, it is pretty simple, all you need is two things: hosting and a domain. The domain is basically the URL you type into the browser to reach a certain website. They include: .com, .org and .net. A typical domain cost you about $10 per year. Therefore, the domain you select is forwarded to your web host. Ensure it has professionalism and credibility, avoid BlogSpot, WordPress, and Tumblr. Besides, Web hosting is where you will contain the physical files of your website on location. Which of these looks better to you: dogtraining.blogspot.com or dogtraining.com? Most likely the latter, since it is easier to remember. Moreover, once you start building out pages it would look presentable and pleasing to the eye. Go here to read my article, Picking a domain name for business. Once you’ve purchased both the domain and web hosting, your website is now a ‘coming soon type web page’. Here, you’ll need a Content Management System (CMS) such as WordPress, Drupal, or Joomla. CMS eases the process of creation and updating of websites. I highly recommend using WordPress. As a matter of fact, CNN, NASA, FOX News, New York Times, and many others run on WordPress. The best feature of WordPress is, it allows one to virtually modify every aspect of it from design to add-on features. Within your hosting Control Panel, there is the option of installing WordPress on the fly. Also, here is where you seek the services of a web hosting tech support to walk you through it. Product Reviews – This is a popular method, however, this is a very competitive market if you are trying to go on the tech products like laptops and cameras etc. Product Price Comparisons – Everyone wants the best deal in products and one of the best ways is to look for someone selling the cheapest online. This method can be equated to product reviews, moreover, it can be combined. However, it is very competitive but very effective for niche products. Coupon and Rebates – Similar to product price comparisons, but in this case, it’s strictly coupons and rebates. Niche Marketing Sites – These types of websites usually come up when affiliate marketing is mentioned. Basically, these websites are small to medium sized and go for specific niches. The best part is, there is little to no competition. Making a website is one thing, maintaining it and making it successful is another. It’s never a walk in the park. 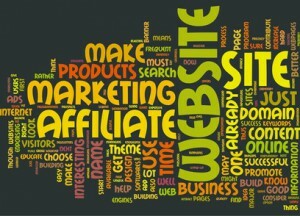 Here are some of the tips needed to make your affiliate website a success. By following this simple formula to the latter, you will realize higher search engine rankings, more traffic directed to your website and even greater sale numbers. Nailing these four factors is the direct link to success. Using Attractive Website Designs: Have a great looking website that’ll inspire confidence and make people trust you more. Creating a beautiful website no longer requires complex coding knowledge, neither an expensive website design software, all you need is to harness the power of WordPress. Attractive, and well placed opt-in forms and squeeze pages that convert designed with high conversions in mind. Top-Notch Customer Service: The final factor in this success breeding formula in building profitable affiliate sites is the most important. As long as you treat your customers with courtesy and respect, people will definitely come back and buy for you. Ensure you reply swiftly to email inquiries, complaints, and/or blog comments, and you should be fine! Therefore, in conclusion, to build a successful affiliate website that ultimately leads to loading your bank account with commissions, all you need is to stick to this simple basic formula. It is not going to happen over night but if you stay at and put in the work you are going to have a website that is bringing in tons of traffic which will lead to cash in your pocket.